As a NADD member you will be exposed to state-of-the-art mental health care and treatment for persons with developmental disabilities. 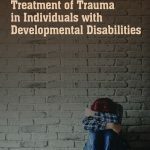 You will be provided with up to date information on assessment, diagnosis, psychopharmacology, therapy, program models, staff training, research, family issues and other mental health aspects concerning individuals who have developmental disabilities. Also, your membership provides a great opportunity to network with others who have similar interests. NADD Bulletin: The NADD Bulletin is the official publication of NADD. 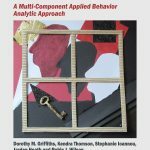 This 20 page periodical is published bi-monthly and features three articles addressing clinical, programmatic, research or family oriented issues concerning mental health aspects in persons with disabilities. NADD Members can view all past Bulletins online by clicking here. 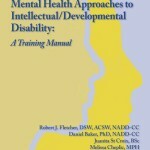 Research Journal: The Journal of Mental Health Research in Intellectual Disabilities, published quarterly. Conference Discounts on all regional, national and international conferences (click here for conference information). Centralized Information and Referral Services: NADD can assist you with identifying and locating needed resources. We can help you in your search for appropriate services, i.e., residential, mental health treatment, etc. Chapter Membership: When you become a NADD member, if there is a chapter in your area, you will automatically become a member of that chapter. There is no additional charge to members for chapter affiliation and you are entitled to all chapter benefits. Education and Training Materials: Discounts on all NADD educational material which include books, CD’s, DVD’s, etc. (click here to enter the NADD store). Voting Rights: NADD members are eligible to vote for the Board of Directors. Your vote counts in the leadership of NADD. NADD Membership Card: You can proudly carry your NADD membership card. Networking: Enables you to network with other professionals, care providers and families who share your concern in the field of Dual Diagnosis. Opportunity to be part of the worlds leading organization in it’s ongoing efforts towards advancing mental wellness for persons with developmental disabilities through the promotion of excellence in mental health care. As an additional benefit of membership, NADD is providing selected online trainings. Every three months a different training is offered. Asssessment of Capacity to Give Informed Consent.with Martin Lyden, PhD. Are Psychiatric Disorders Establishing Operations: Functional Assessment and Persons with Dual Diagnosis with Daniel Baker, PhD and Richard Blumberg, PhD. Information about accessing trainings is provided in new member packets. Current members with questions about accessing the trainings may contact the NADD office.